The French rider took his first step in WorldSSP during the two-day test held at Autodromo do Algarve in Portimao. 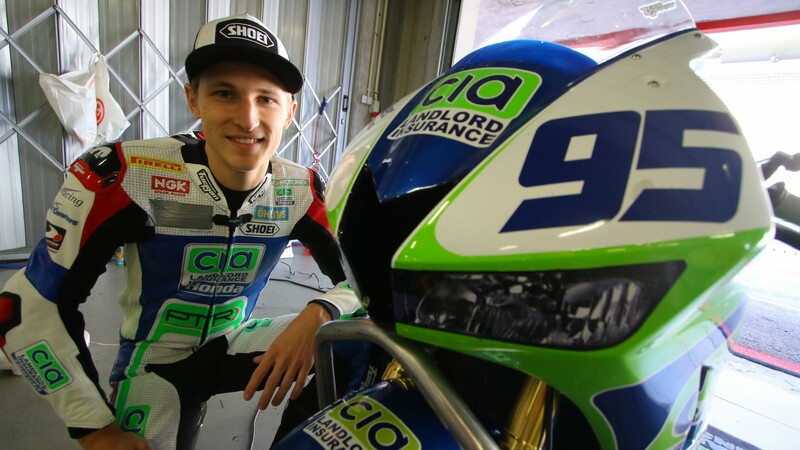 After five years spent in the MotoGP™ paddock, Jules Danilo moves over to WorldSBK where he is about to begin a new challenge as he will contest his first FIM Supersport World Championship season with the CIA Landlord Insurance Honda team this year. In a class where other French riders like Lucas Mahias, Jules Cluzel and, Corentin Perolari have already been impressing, Danilo will try to make his name stand out too. The 23-year-old joins the series with a lot of determination and ambitions set for his new adventure, and in an exclusive interview that he made with WorldSBK.com, the former Moto2™ rider shared his first impressions and his goals for 2019. “The most complicated thing for me was learning the new track. Regarding the bike I had already been training with a Honda for two weeks before the test and apart from the power, which is a lot more compared to the Moto2™, the feeling with it was similar. The bike moves a lot and is much funnier to ride. I felt immediately comfortable on it and that was positive. It must be said that the track is probably one of the most difficult I have ever been before. I improved step by step as soon as I started to learn the correct line. In the end, I found a good and constant pace in 1’47. They are not extraordinary lap times, but I used normal tyres, the SC1. We didn’t use the soft one because we had just one. In general, I am satisfied”. Following several seasons in Moto3™ and Moto2™, the French rider seems sure to know what he needs to adapt in his riding style to suit the new category. “At the beginning, I tended to enter the corners too fast as I used to do in Moto2™ but after we analyzed some data, I started to adapt my style to take better advantage of the engine power and managing better the traction point to avoid sliding. After I understood this, I was able to make some progress”. “I need to take advantage of the new tire. The grip is good on the first three laps before it starts to degrade. In Moto2™, depending on the circuit it was all different, the grip started to improve after a few laps. My pace is also good, and I am fast. At Phillip Island we will continue to work this way”. Danilo is not the only rider who have joined WorldSSP after making experience in the Moto2™ paddock. Other riders, who made the same steps as Danilo, have been also making a great impact in the series, like Sandro Cortese or Randy Krummenacher. But ahead of his debut, the Frenchman assures that this doesn’t put extra pressure on him. “Sometimes things happen like this, but I don’t think there is a connection. I just had a difficult year in Moto2™, so my objective is to first find the feeling with the bike and let my crew understand all my needs. This is already happening because the team is professional and have a lot of experience in WorldSSP. We are not in a hurry. I would like to fight into the top ten immediately and then later be able to fight within the top five. Now, I’ve only done one test and I am still a bit far. The gap with my rivals now is huge, but it is also because we started on one of the most difficult race tracks and with cold and windy conditions. At Phillip Island we will receive some engine upgrades and we will take the opportunity there to fine-tune the electronics. So, in the end, I hope I will start to be competitive in Australia”. Check out all the result from the pre-season tests and find out how will Danilo debut at Phillip Island, all with the WorldSBK VideoPass.